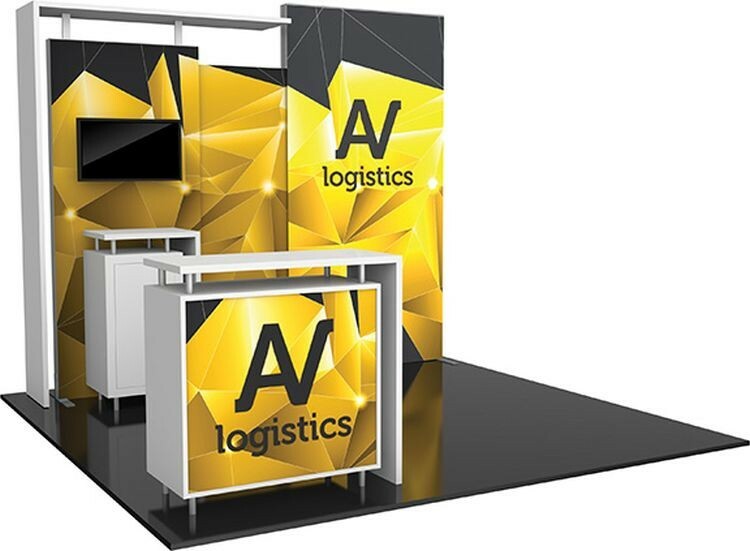 Hybrid Pro Modular Kit 03 is a stunning 10ft x 10ft inline display solution for the serious exhibitor. Kit 03 combines heavy-duty aluminum extrusion frames and push-fit SEG fabric graphics for a stylish and finished look, and features a monitor mount, and locking storage counter for additional messaging opportunities (foreground counter sold separately). An illuminated panel makes messaging eye-catching!